Update as of October 2013: no longer works! 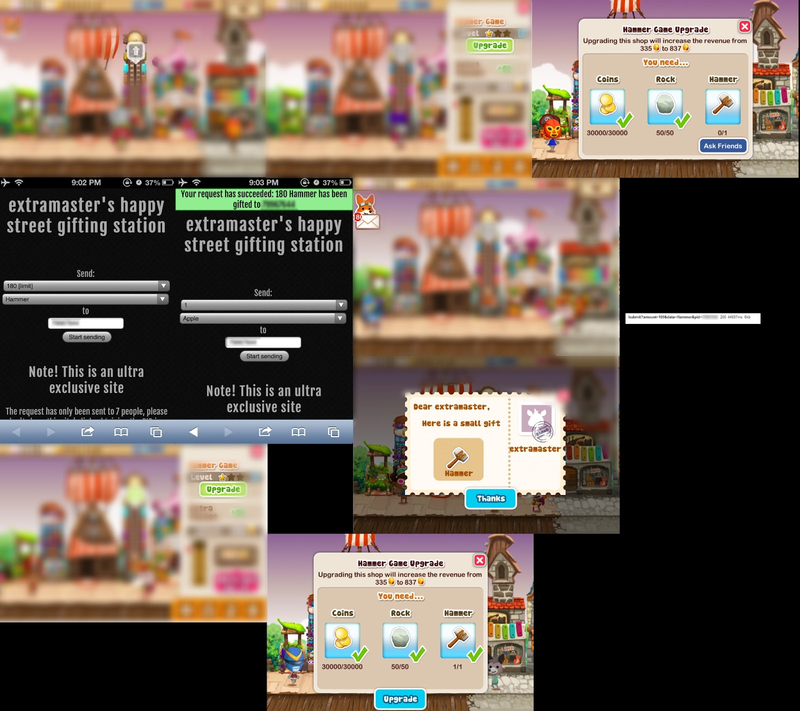 However there's one critical flaw to the game, it uses Appspot and a completely unencrypted gifting/cloud saving system.. This is basically what I consider to be the flaw of Happy Street, it's unencrypted... And for a game that attracts millions of players from multiple platforms, you would expect the developers to be a little more careful when it comes to scenarios like this.. However, they're not.. Think that you can't ever send lucky tokens in Happy Street? Well think again.. 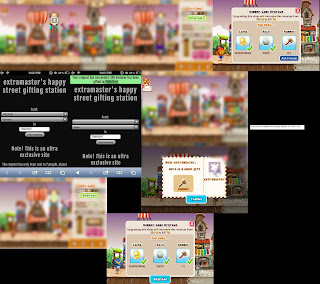 Creating a custom item generator for Happy Street is pretty much the hardest step required to fully exploit Happy Street's online services, yet that only took a few hours.. Finding the PID (the unique identifying code that Happy Street assigns to its players) was much, much easier then I thought it would initially be and as someone with a fairly large amount of friends who've played Happy Street this really relieved me..